Happy New Year!!! What did you guys do to celebrate? Did you do a run to celebrate the new year? Was it on your own or do you have a New Year run event in your area? I had planned to run the Rogue Running Black Eyed Pea Run, but I picked up overtime on New Year’s Eve, so it didn’t happen. Maybe next year. Let's move onto goals for this New Year, shall we? Have you made your list of what you want to accomplish in 2016? 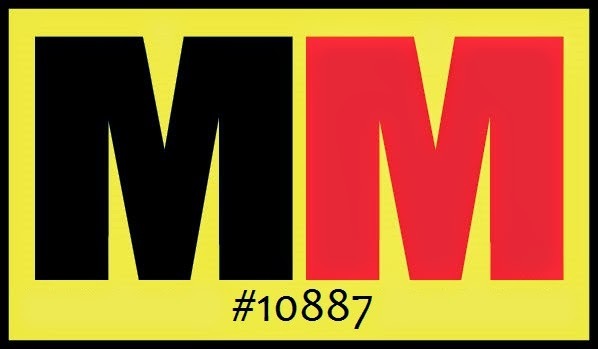 ♦ In 2016, I'd like to try a goal of running at least 1000 miles (I signed up for the I <3 to Run 1000 miles in 2016 challenge to make it official…deadline to sign up is 1/31/16 if you’re interested in joining me on this challenge). That's about 84 miles a month on average (or, if you’re an everyday type runner, 2.75 miles a day…I’m not). Totally doable. I have 2 marathons scheduled for 2016 and I want to make them count (however, I might do a 3rd one in December…cuz I’m naughty like that). I have a goal of completing the Austin Marathon next month in 4 hours and 30 minutes. That requires shaving 14 minutes off my current PR of 4:44:08 (which I got at San Antonio last month). If I put in the actual work (structured speedwork, hill runs and my long runs done SLOW), I know I can do it. Then, for the South Padre Island Marathon in November, I want to finish in 4 hours and 10 minutes!!! ♦ I have a few more time goals. I want to run a sub-60:00 10K, and a sub-27:00 5K. ♦ During my trip to Oregon this year, I'll be running back-to-back half marathons! This is very exciting to me! Speaking of half marathons, I'll be running my first night time race in March with the Illuminations Half. It starts at 6:15pm and runners are told to bring their own headlamps (or whatever they normally use to light their way when running in the dark...knuckle lights are popular with some runners, for instance), so I'll get to use my new LED lighted visor! 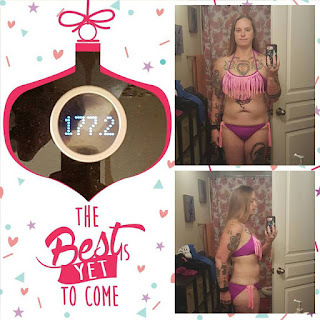 ♦ I want to finish up my weight loss/fat loss goals this year. 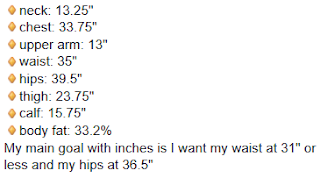 I want to get to 160 lbs and 31% or less body fat. This means I REALLY need to crack down on my binge eating disorder and do my best to control it. It really got difficult for me to control in the last couple months of 2015. My other weight related goal for 2016 is, once I've reached my weight/fat loss goals, I want to MAINTAIN my weight/fat loss. If I can maintain my loss and get my BQ at Austin 2017 (my BQ time will be 3:45:00, which means I need to shoot for 3:40:00 or faster to actually have a shot at my registration being accepted), then summer of 2017 I will get my skin removal surgery done. But that's a whole 'nother story all by itself. ♦ I want to make it a priority to get the gym for strength training twice a week (once at a minimum). ♦ I want to continue working overtime, 1-2 shifts per week. And then I want to use that overtime pay to actually pay off credit cards. That leads into I want to apply for a home loan in the late summer so that I can buy a house this fall. If I can't get approved for a home loan, then I want to find a house to rent. I am tired of living in an apartment and paying for a storage unit. ♦ I’ll be participating in the 2016-2017 season Austin Runner’s Club Distance Challenge this year and I’m really excited about that. It consists of 6 races between September and February: an 8k, a 10 mile, 2 half marathons, a 30k and a full marathon. So I would like to successfully complete that. ♦ I want to participate in at least 1 virtual race each month this year. 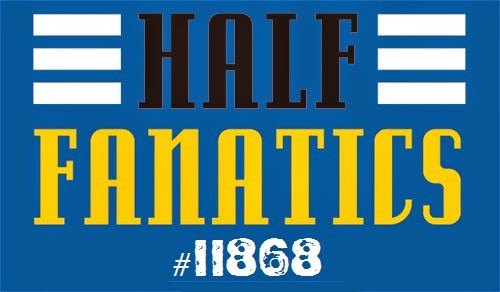 ♦ I want to go ahead and pay for a lifetime membership for the Marathon Maniacs and the Half Fanatics when my dues come due for each this year. ♦ I want to set aside some time at least once a week and foam roll, spikey stick, and lacrosse ball the living hell out of my legs. I’ve had some tightness lately and I’ve done spot pressure massaging and it helped out. The way I’m training has changed and my body maintenance needs to adjust. ♦ On a non-running note, I want to keep my little Norfolk pine tree alive! ♦ I want to cut back on my diet soda and salt consumption. The diet soda, I believe, has been affecting my sleep, and the sodium has been causing lower leg and foot swelling. ♦ I also want to post at least one non-recap blog post each week so my blog isn’t so monotonous. Haha! Also, I want to post monthly goals at the beginning of each month on here and then in the following month’s monthly goal post, I’ll recap how I did with the previous month’s goals. ♦ I want to keep up with keeping my apartment clean, organized, neat, uncluttered, presentable. ♦ I want to write an entry in my journal every day, even if it is just a sentence or a short paragraph. ♦ I want to run 3-4 days each week. ♦ I want to be more consistent and honest with my food tracking. ♦ I want to be confident enough by summer time to run with just a sports bra on top. ♦ I want to keep up with the state of organization and cleanliness that I worked so hard to achieve in December. That seems like a lot, but I don’t think it’s too much. A lot of those things are tied to each other. All of them will make me a better runner, blogger, and person in general. Let me start this New Year off with a fresh weigh in, fresh measurements and updated progress photos. Sure I've backtracked a bit, but I'm staying positive about this. Sure I've now got 17.2 pounds to lose instead of just the 5.1 I had a month ago, but I'm doing my best to be okay with that. I just have to accept it and move forward. Getting upset serves no purpose. I cannot undo what I did, didn't do or what I hate over the last month. The good news is that I really didn't regain too many inches overall...the 3 in my waist and the 1.75 in my hips are the most bothersome, but hopefully it should come back off quickly. I'm hoping to get back to 165-ish by the time my physical readiness test for work happens at the end of February. If I focus myself, I *KNOW* I can do it. What are your goals, hopes and dreams for 2016? Share in the comments! Re: BQ, usually if you get 2 minutes under your BQ time, you'll get in (since they've done the applications, the cut-off has never been over 2 minutes, so you'll be able to aim for 3:43:00). Sounds like great goals for the year. I especially like the tree one! I am a total non-runner so this makes me anxious reading this! But we can work together on keeping houses clean & Norfolk pines alive!